Brody Eggleston is a young off road racer with a focus on his future. 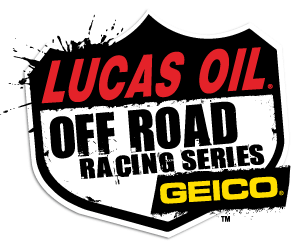 Following is an interview posted on Lucas Oil’s Regional website. I started in the go karts when I was 5 and ran those for a couple of years .Then we saw the little trophy karts at a Monster tuck show and I thought they were really cool ,so I asked my parents about trying to get into racing them . My dad had some friends who knew how to get into racing them. Once we got one we went to the Lucas Oil Regional because we thought it would be a great place to start. When you’re not at the track, what can we find you doing? When I’m not racing, I’m in school focusing on good grades. But outside of school I train, ride dirt bikes, travel with my family and stay active by riding bikes, as well as all around having fun being a kid. Family and friends play a big role on most regional teams. How important is your family & friends to your success and what roles do each of them play on race weekends? My family and friends are a big part of who I am, my success in life and in racing. My family is so supportive in my racing and motivating me to be the best I can be. Without them I don’t know what I would do. They are such a big help. Who is a driver that you look up to/admire and why? I look up to RJ Anderson as a friend and racer. He is a young and good driver in the Pro 2 class. I like when he steps up to the challenges he has. His Polaris RZR videos are really cool and outside of the box, which inspires me to be like him and gives me something to strive for as I continue my racing career. What qualities/skills do you think make a driver successful? There are a lot of different things that make a driver successful . I think having racing in your genes definitely helps you become a better racer as well as your environment growing up. But if you want to be successful you also have to train and put in the time as well and have the mental strength and physical too. My biggest challenge is qualifying and having the right car setup for track conditions for each track. Trey Gibbs is a good friend and very successful driver on the track. He is a big challenge for me on the track, but I also learn a lot from his driving skills. What does a typical weekend at the track look like for you? Walk us through how your weekend works. A typical weekend at the track for me is trying to relax and stay focused but have fun. Staying hydrated and being prepared for whatever gets thrown at me. I usually am focusing on racing and going through all the things I need to do and can work on. I also work on the cars and figure out what needs to be fixed. My family is always there to motivate me through everything during the race weekend. This year I’m going for rookie of the year in the Lucas Oil Off Road Racing series. Next year I would like to go for the championship and after that continue to improve as a driver. I would like to thank my mom and dad, family , Above All Construction, Solaris Energy, Chris Salazar Inc, Full Tilt karts , Altura Credit Union, Rugged Radios , CBR Performance Products , Walker Evans Racing, Mod Kids USA, Kicker , MTRV8, Kicker performance Audio , Rokblokz Mud Flats, Driven steering Wheels , Troy Adams and Tomar off road lighting.